Hola amig@s! Hoy os presentamos esta interesante oferta para participar a un seminario formativo en Rumania. 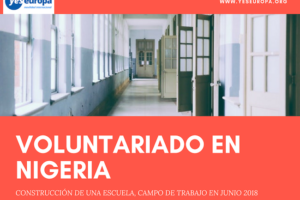 El objectivo del seminario es desarrollar nuevos itinerarios formativos para que los jóvenes puedan encontrar empleo. En el seminario participaran un total de 30 técnicos y/o trabajadores de la juventud. Pero puedes participar también si solo tienes curiosidad. Organisation is a nonprofit organisation that appeared as a result a Youth in Action, 1.2 National Youth Initiative project in 2009. 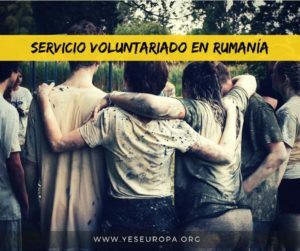 Established as an organization in a Romanian rural area, hosting organisation is dedicated to reaching community sustainable development, and we do that by implementing social inclusion activities, help young people understand active citizenship and active participation. We are involved in youth activities ranging from sport to environmental protection, interculturality, media, cultural and promotion of voluntarism in general, and this has lead into making hosting organisation to be the most active youth organization from Neamt county, and the catalyst for civil society intervention in the community. The missionhosting organisation assumed is to contribute to sustainable development, in the economic, social and cultural fields, with an accent on education for increasing social and civic responsibility, active citizenship, tolerance, intercultural dialogue, entrepreneurship and active involvement local communities. For that,hosting organisation is involved in educating young people and adult through formal and non-formal activities, and we develop in class training programmes addressed to young people that need personal and professional development. The values thathosting organisation believes in and promotes are volunteering, political non-affiliation, quality, transparence, performance and flexibility. V. Training courses, seminars, workshops and non-formal education activities addressed to all those interested in aspects of personal and professional development (including language courses: English, Turkish, Romanian etc.). For this, we have gathered a team that consist of 6 founding members, 5 associated members and 15 volunteers which are working with us for more than one year. In projects, we also involve people from the community. The expertise we have in our association ranges from project management, comunity development, social work, training and education, to intercultural management, law, theology and finance. hosting organisation is member in one national Romanian Federation called VOLUM and we are very well known on the local market like a strong non profit organisation that works in the comunity for sustainable development. 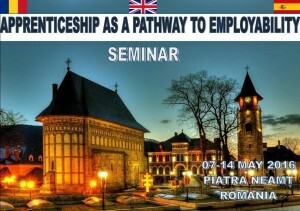 Hosting organisation Romania along with our partners from the UK and Spain invites you to take part at the seminar Apprenticeship as a Pathway to Employability, where you will learn about the positive impact that Apprenticeship Programmes can bring on raising the employability of young people. 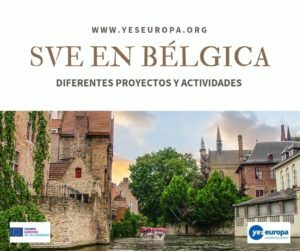 In order to develop successful Apprenticeship Programmes in Spain and UK we are selecting 10 youth workers from each country that during 7 days, 7-14 May 2016, along with 10 youth workers from Romania will take part in different activities that will have as a result understanding the concept and the Apprenticeship Programmes in a deeper, more significative way. That isn’t a problem as you will have the opportunity to learn from other participants. What’s important is your decision to bring a change in your local community and get involved in activities that have as a purpose raising the awareness of the importance of apprenticeship among youngsters and employers from your area. Apprenticeship Programmes are a good choice for both the employer and employee, receiving certain benefits if they sign this type of contracts. The young people have the opportunity to receive specialised education in a certain area and find easier a job. On the other hand is a really good way for the employers to raise the efficiency and productivity of their business and create a qualified team; also is an efficient way to attract and recruit staff. The main objective is to empower youth worker raise the employment rate among young people, especially those with fewer opportunities. O1: Support the understanding of the apprenticeship concept and programmes in a deeper, more meaningfull way by 30 youth workers from Romania, UK and Spain. O2: Raise awareness among employers and other social actors of the importance of apprenticeship as a method to increase employability. 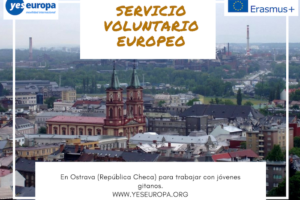 O3: Develop the necessary skills and competences to be able to bring together the unemployed young people and the local firms and create a successfull Apprenticeship Program by the 21 youth workers from Romania, UK and Spain. Romania, Capacity London and Building Bridges. During the activities, the methods used will be the following: open discussions, research, presentations, debates, open forum, open space, games, brainstorming, SMART method, mentorship, role play, workshops, storrytelling etc. 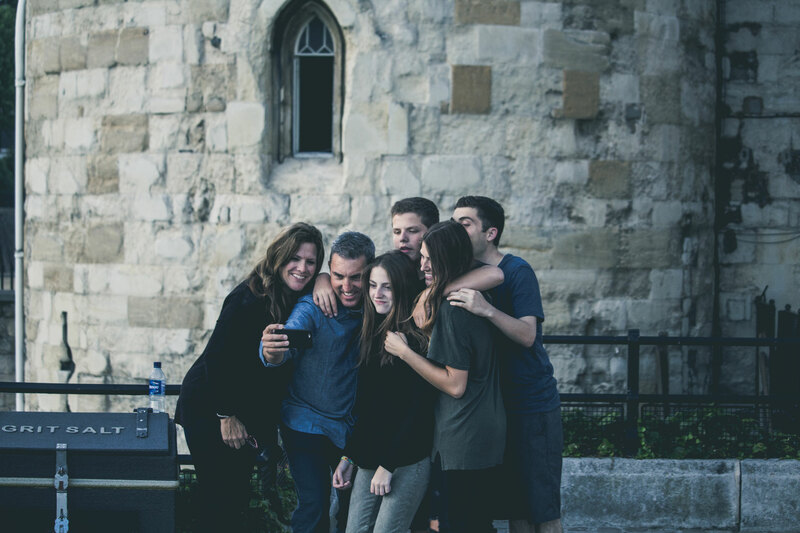  support youth workers in the acquisition of competences with a view to improving their personal and professional development and employability of young people in their area. 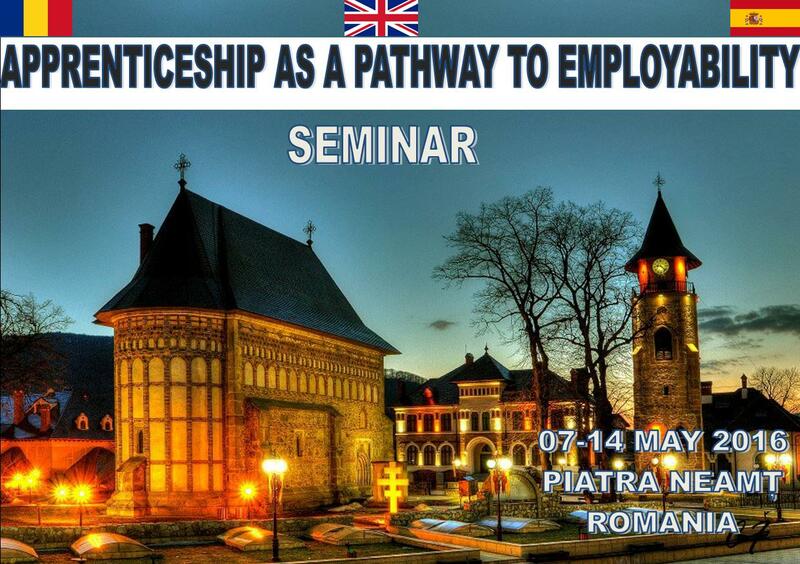 The expected impact is implementing a successfull apprenticeship program in Madrid, Neamt and London. Location and transportation: The project will take place in Piatra Neamt, capital city of Neamt County. From the airport, ground floor at Arrivals (follow the signs), there is the bus 780 that goes to Gara de Nord (North Train Station). The price is around 8 RON (aprox 2 euro for 2 journeys ticket) you have to buy the ticket from the ticket machine, before going in the bus. The journey is aprox 45 min – 1 hour, depending on the traffic. From Gara de Nord you will have to take a train to Piatra Neamt (price is around 80 lei, aprox 20 Euros). You have to buy the ticket from the train station, before going in the train. The journey to Piatra Neamt is aprox 6 hours. Depending on the train departure, you will have to change or not in Bacau. You can also take a bus from Otopeni (the airport) or from Bucharest to Piatra Neamt, depending on the hour your plane arrives. 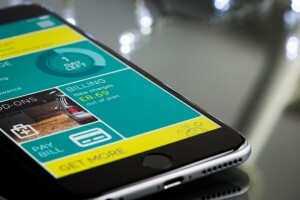 You will need to have Romanian money – lei (RON) to pay for tickets, so you could change a very small amount in the airport (the exchange rate is not very good). The project venue is Grand Hotel Ceahlau. It is located in the center of Piatra Neamt. 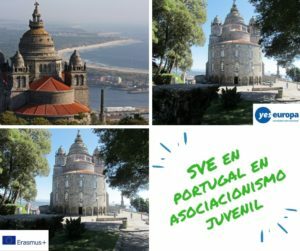 This project is funded by the European Commission under the “Erasmus+” programme. The content of this document does not reflect the official opinion of the Romanian National Agency or the European Commission. Responsibility for the information and views expressed herein lies entirely with the author. We are planning a trip for the date of 12th of May, at a different location with a sleep over. – Sessions will be held in a training room, that will be located 15-20 minutes away from the hotel. Piatra Neamt is the capital city of Neamt County, in the historical region of Moldavia, eastern Romania. Because of its privileged location in the Eastern Carpathian mountains, it is considered one of the most picturesque cities in Romania. The hotel is in the center of the city. After intensive training sessions, you will have the opportunity to have short visits to beautiful places in the surroundings. 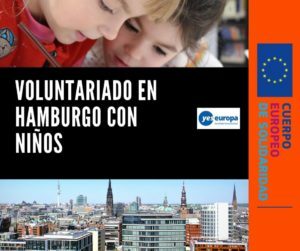 Costs of accommodation and food will be covered by us through Erasmus + programme. All other costs related to the activities under the project will be covered by us. Note: The travel of the participants must be between the country of their sending organization and Romania. Regarding the boarding passes for the way back, the participants will first need to scan and send them to us through e-mail and then send the original boarding passes/tickets by post. For the purchase of travel tickets; participants are firstly expected to send us their preferred itinerary no later than 11th of April 2016 and then wait for our confirmation to buy their tickets. The participants are recommended to fly to Otopeni Airport. 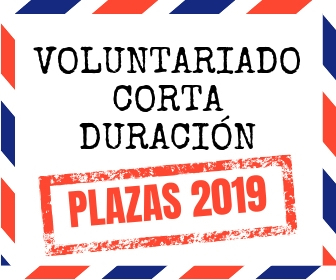 Costs of local transport in participants’ own countries will be also reimbursed (on the condition that total travel cost does not exceed the specified maximum amounts). Taxi costs will not be reimbursed. You are expected to participate fully in all activities, unless you are ill. Unauthorized absence from activities and workshops is not permitted. If less than 80% of the programme is attended, it will not be possible to reimburse the international travel costs.